Just a 10-minute drive from Melbourne CBD, So Ya Apartment Hotel South Yarra (previously known as Darling Apartments) is conveniently located to explore the city and its surrounds. All apartments feature a kitchenette with an oven and a stovetop. 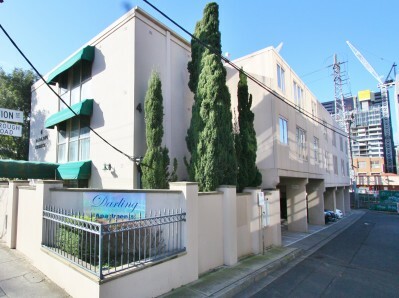 So Ya Apartment Hotel South Yarra is 100 metres from South Yarra Train Station and an 8-minute walk from the Yarra River. Royal Botanic Gardens Melbourne is a 15-minute walk away. Experience accommodation that provides family comfort with a luxurious atmosphere, conveniently located in the heart of fashionable South Yarra. All air-conditioned apartments feature a dining and lounge area with a flat-screen TV and Blu-Ray player. They offer a desk and a bathroom with a bath tub and shower. Guests can share a meal using the BBQ facilities. Free WiFi is available in all areas and is free of charge. Free Parking is possible on site (reservation is needed).